Are you on the search for a fun little gift for your neighbors this holiday season? Well, you are in luck. I've got a great idea for you. First though, here's a little back story. I live in a pretty cool town. Fort Collins has this great part on the northern end called Old Town. It's full of quirky shops, great restaurants, fun music festivals, and all kinds of charm. We head up there quite often to do photo shoots in the back alleys and sometimes to just roam. A few weeks back Fort Collins kicked off the holiday season by having a lighting ceremony. It's when they turn on all the beautiful holiday lights that outline the trees down the main road and in Old Town square. It's charming, it really is. Miss M and a friend headed out to enjoy the festivities and when she returned she had a bag of the most amazing kettle corn I have ever had. I'd like to tell you that we had great restraint and only ate a handful but that would be a lie, a big one. It was so good. 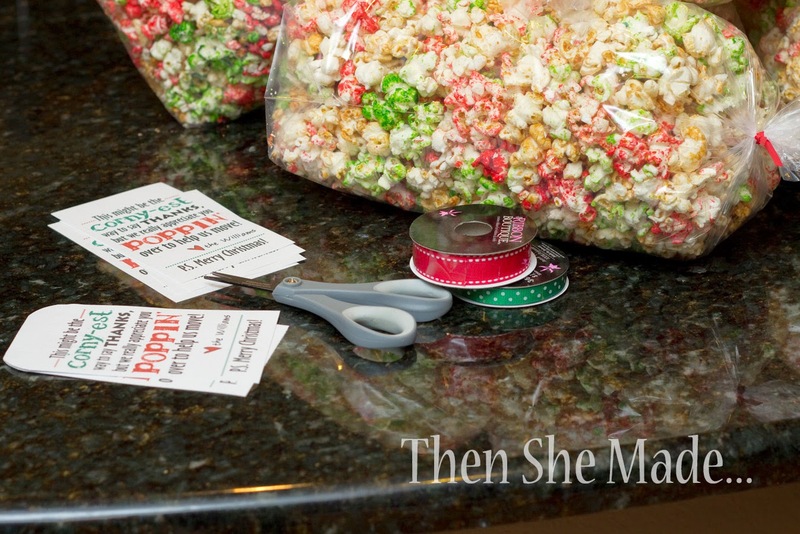 Needless to say, we wanted more and now are dedicated fans of a local small business called A-Maize'n Kettle Corn. So, when it came time to find some thank you gifts for some friends who helped us move last week, it was a no-brainer. Kettle Corn! 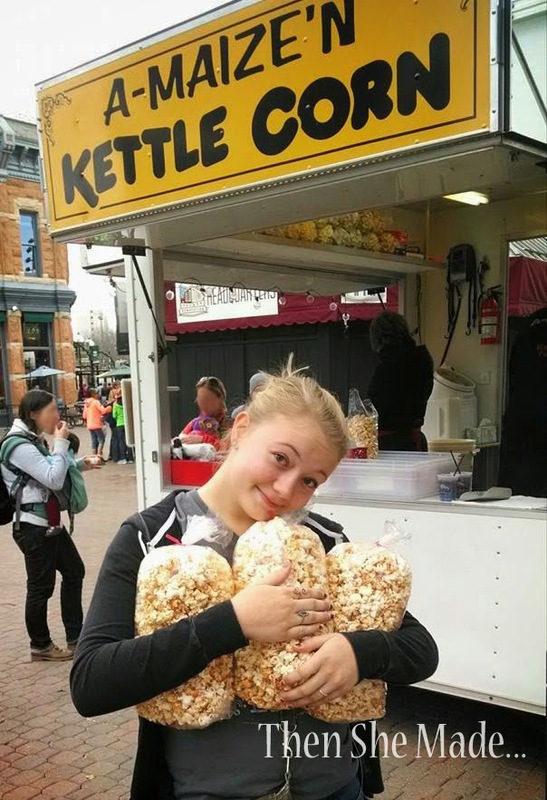 Of course, Kettle Corn! 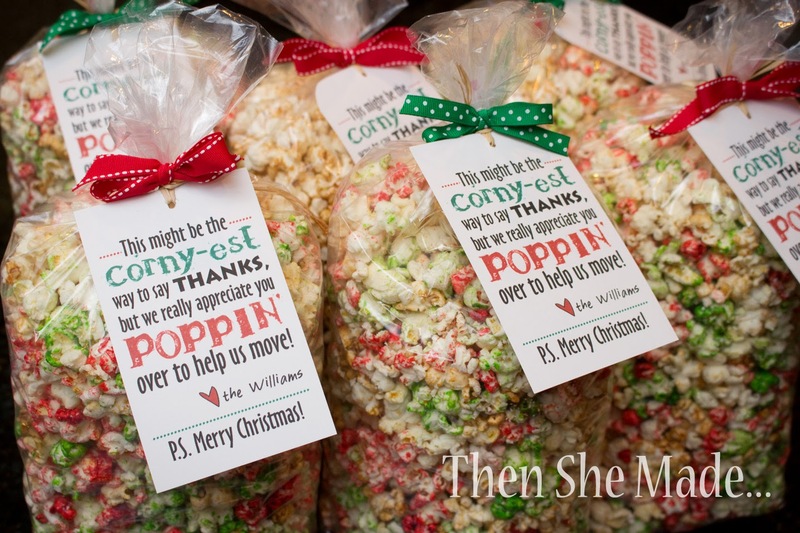 We bought bags of popcorn as thank you gifts however with Christmas coming up, I thought this would make a great idea for neighbor gifts too so I'm passing along the idea. So, here's what did, are you ready? It was super easy. Super quick, super easy. It saved me a ton of time as I didn't have to bake anything myself. 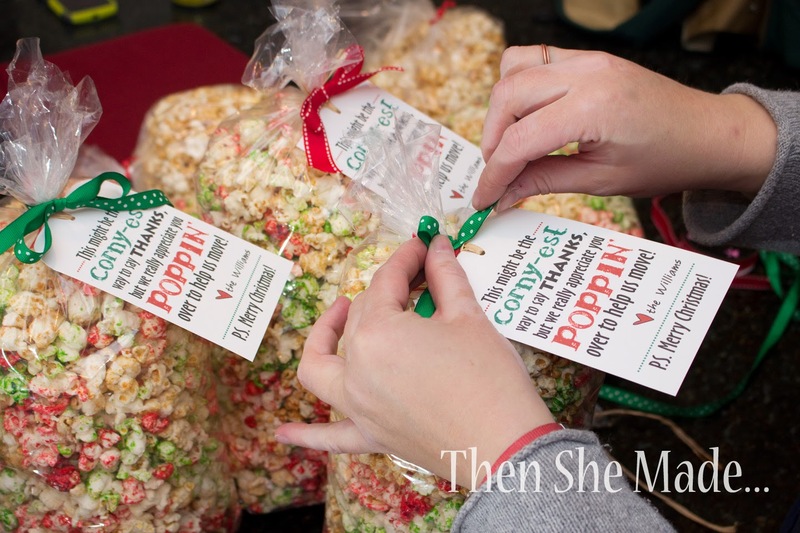 If you are thinking this idea might work for you, here are some popcorn themed sayings that you could put on a little gift tag. 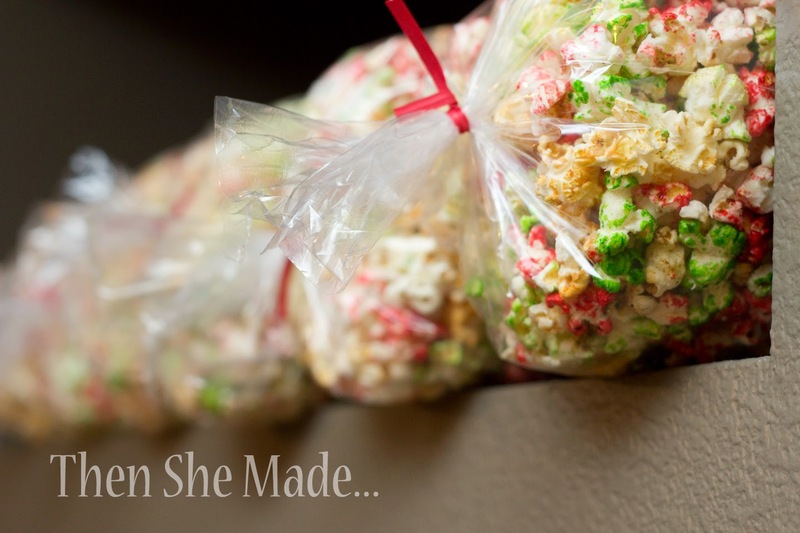 Think friends, neighbors, co-workers, the mailman, me - who wouldn't love getting some? - This might be the CORNY-est way to say it, but Merry Christmas! p.s. - tell me what your favorite gift to give to your neighbors is. I'd love to know. Very cute!!! I love consumable gifts; I hate to give stuff that will likely be passed on in a few weeks/months. This year I'm giving jars of simmering potpourri (orange, cinnamon sticks, cloves, etc).